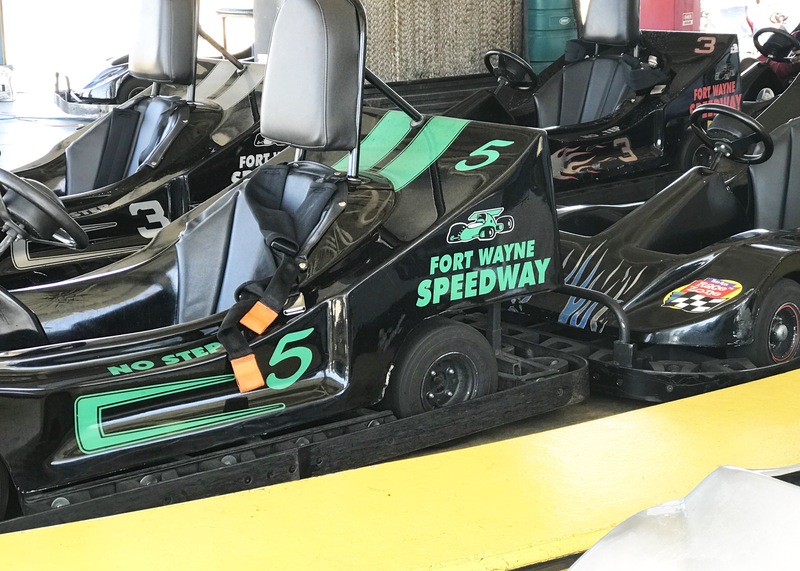 Fort Wayne Speedway, located directly next to Fort Wayne’s Putt-Putt Fun Center featuring both mini golf and a full arcade, is an outdoor go-kart track perfect for *almost* the whole family. 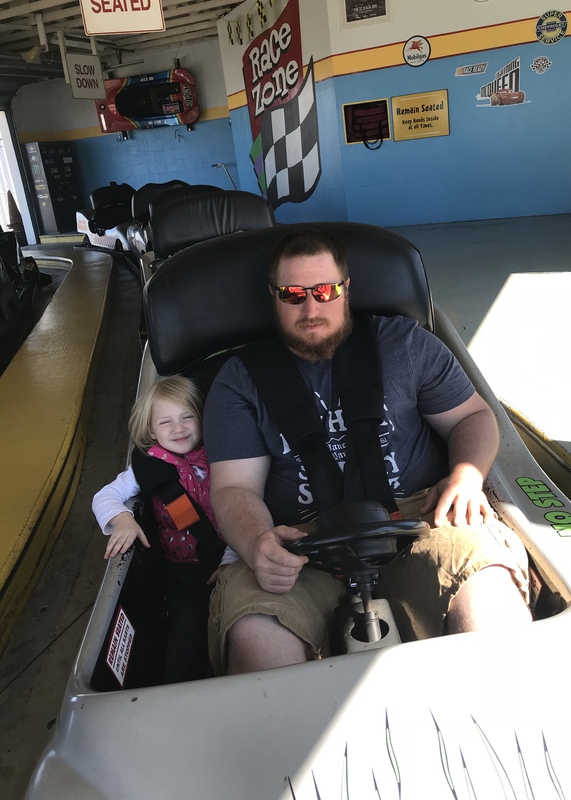 We were a bit surprised to find that they didn’t offer the kid karts many other locations have but they did allow our little ones to ride as passengers while The Mister took them each out for a spin. Featuring gas-powered go-karts Fort Wayne Speedway offers a variety of ticket packet options including single, double, and triple rides. Be aware though that the tickets cannot be split between several drivers so if you have two people heading out on the track, you would need to purchase two full-price tickets instead of the double ride discounted ticket. This only applies to the driver though. We easily scored the triple ride and each girl was allowed their own trip out as a passenger! The track itself was pretty basic and nothing to really write home about but the experience overall was a great one. 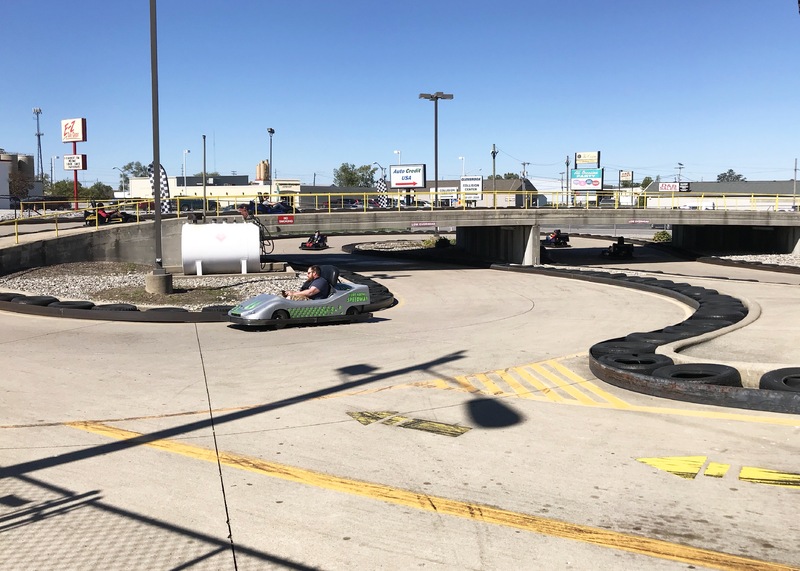 If you’re near Fort Wayne and you’re needing something to do outdoors with the little ones, go-karts and miniature golf sure is a winning combination! We even followed up our amazing day out with some Yummi Bunni ice cream. Now THAT is one thing you better not miss while visiting town.